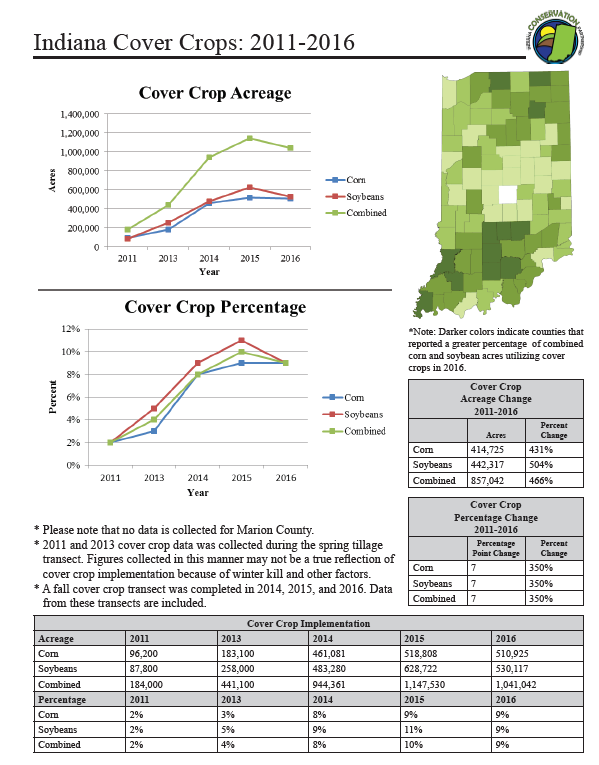 The Indiana Conservation Partnership (ICP) is committed to completing the 2017 Fall Cropland Transect. 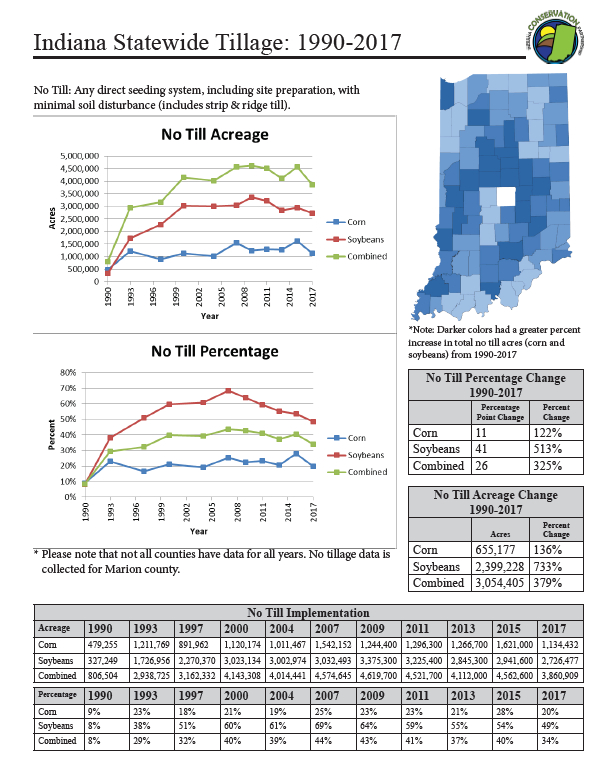 The increase in demand for Indiana’s row crop production, coupled with the ICP’s focus on soil health management systems, makes tracking trends in tillage, cover crops, energy consumption and cropping systems an important and valuable activity, especially in the face of reports on agriculture’s role in the Gulf Hypoxia and Great Lakes issues. 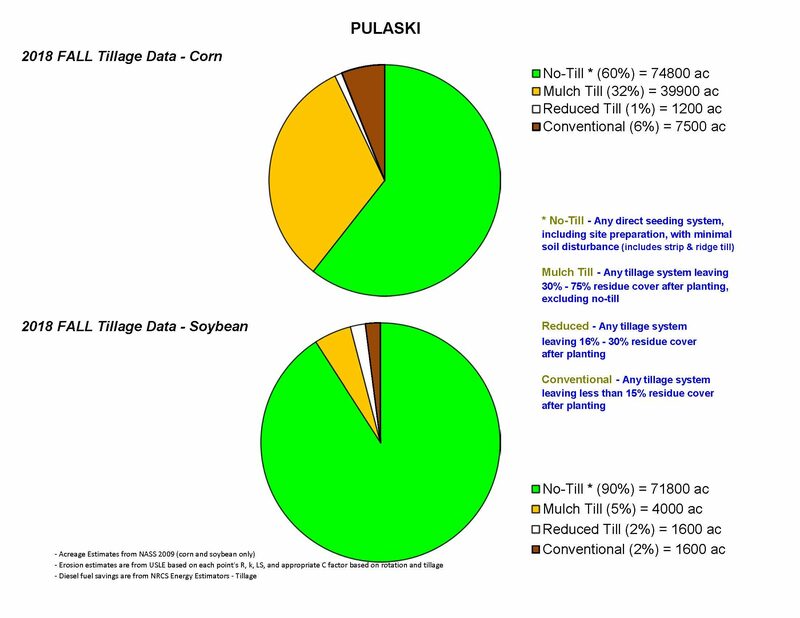 The Fall Cropland Transect allows the partnership to track adoption trends by state, county or watershed. It is a useful tool for highlighting the achievements and superb land management practiced by Hoosier farmers.